Yarn destash for 13 full skeins of cotton from the same dye lot. Pretty blue color with pale accents. See close up photos for yardage and more info. The last photo is what this yarn looks like knit up in a different colorway. 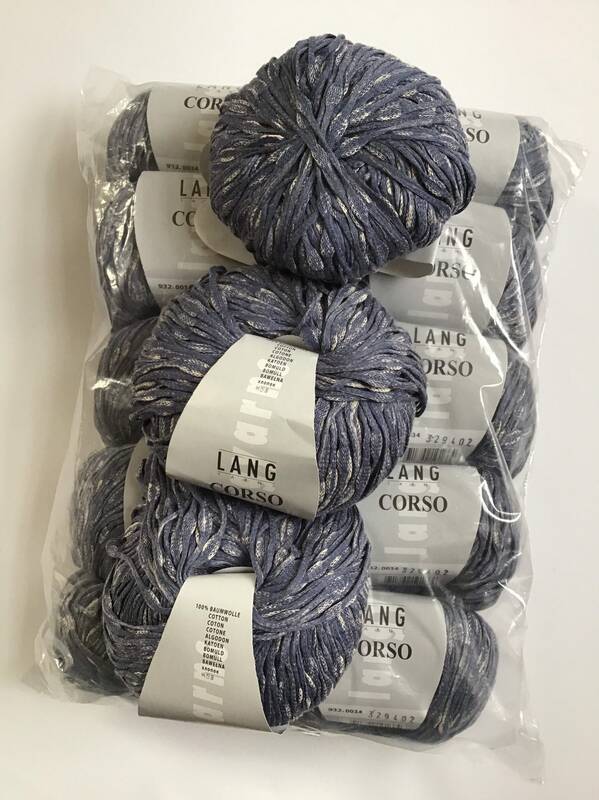 Brand is Lang- yarn is called corso. The slubs in this yarn create a pretty texture! Photos were taken in natural light and they are unfiltered. Colors that appear on the screen may vary slightly. Yarn sales are final. Shipping costs are calculated and if they are over by $1 or more of actual shipping costs I will refund the difference.